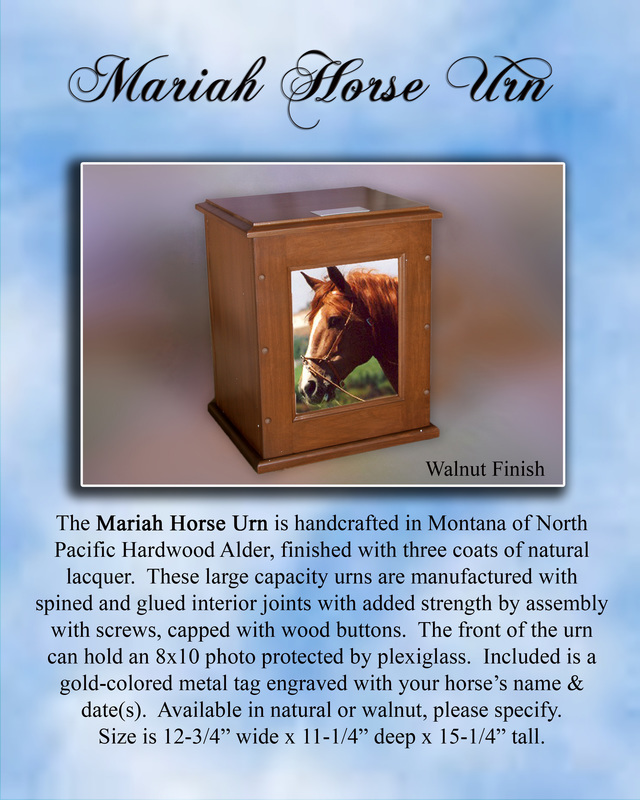 We provide horse cremation and horse removal services. For details on what we provide, read below or contact us today to learn more. Phone: 636-931-4440. 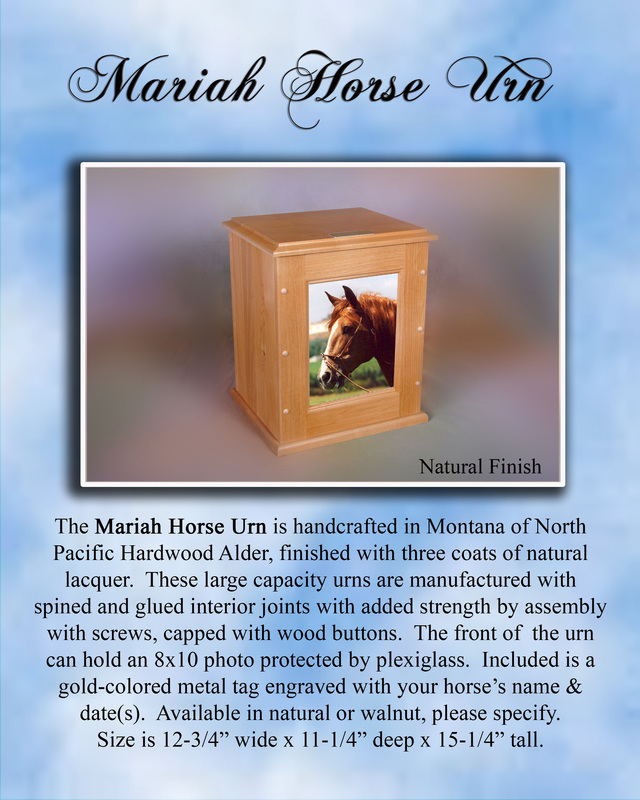 We have beautiful horse urns available for sale. 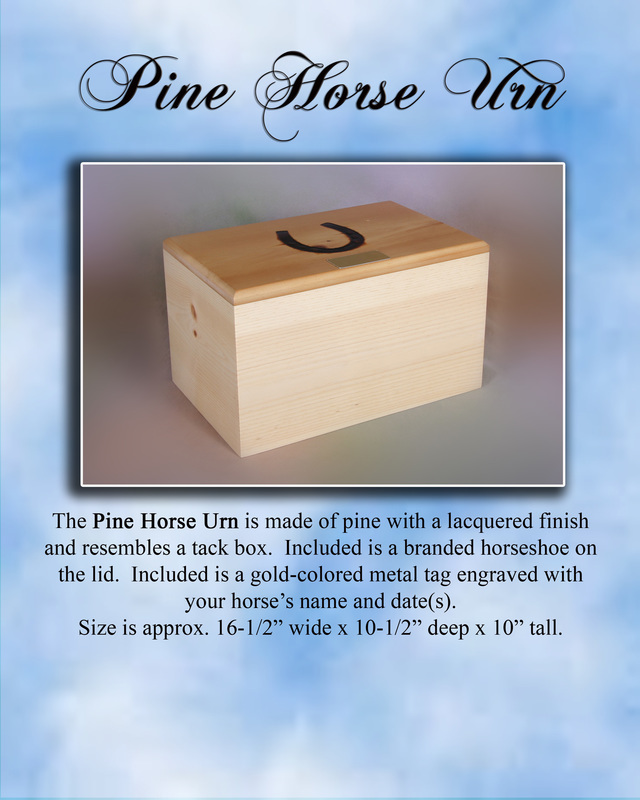 Urns are available as empty or with your horses remains. We can meet your Veterinarian on premises. 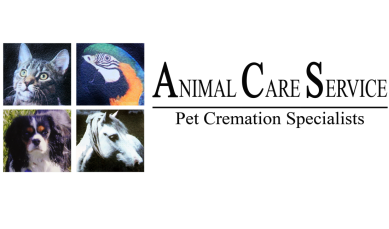 Private and communal horse cremations are available.